One of Lucasfilm’s next Star Wars spin-offs could star none other than the disgusting gangster himself, Jabba the Hutt. Since being acquired by Disney in 2012, Lucasfilm will soon have released three films as part of their Star Wars relaunch. The main saga films have been the anchor so far, but the relaunch also gave the studio a chance to spread their wings and do standalone films outside of the Skywalker Saga. Rogue One: A Star Wars Story proved that there is plenty of interest in seeing more films set in a galaxy far, far away, which is good news for the studios as it is just the start. Han Solo will be the second spinoff film and we now know that the long-awaited Obi-Wan film is gearing up to be the third “Star Wars Story“. The reports about the Obi-Wan spin-off movie have brought with them updates on some of the other spin-offs that Lucasfilm has in early, early development right now. The list includes Boba Fett and Yoda solo films, as well as a movie about Jabba, it would seem. In Variety‘s writeup of the Obi-Wan news, they revealed that one of the other spinoff films being developed is a Jabba the Hutt story. 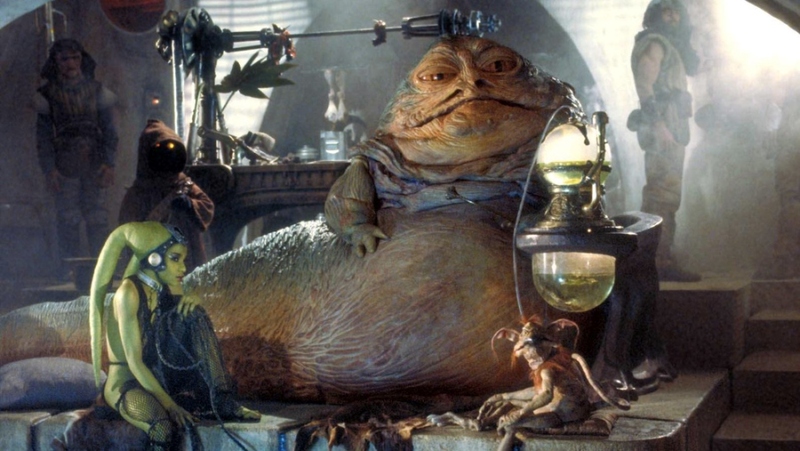 With Jabba’s name and movie being included in a group of candidates, it is unclear what the level of interest is. This could be in the earliest of stages of development and never see the light of day, or it possible it could be the fourth standalone to hit theaters. All of that depends on how development continues from hereon out. Jabba is a notoriously unlikable alien in the Star Wars universe, making him an odd choice to potentially get his own film. Lucasfilm has (so far) avoided going outside the box with its Star Wars spin-off movies, so a gangster-styled Star Wars film starring a despicable alien would make for an unexpected change of pace. However, if Lucasfilm was looking to branch out and embrace different genre with these standalones, then maybe Jabba actually has a chance. Even though there is a case to be made for Jabba and the underground world of the Star Wars universe he could help uncover, any future appearances are probably best kept for supporting roles. There are rumors Jabba will appear in the Han Solo movie in some capacity – and if a bounty hunter film starring Boba Fett ever happens, he would be a logical inclusion there, too. While a Jabba the Hutt spin-off may never actually see the light of day, this news further illustrates Lucasfilm’s current interest in having these spinoff films feature established and/or fan-favorite characters (Han Solo) or revolve around important events (Rogue One). As the franchise continues, hopefully the vast universe at Lucasfilm’s hands will be more openly explored and give rise to true standalone adventures, in the process. A new report states that the previously-rumored Boba Fett and Yoda movies are still being considered by Lucasfilm. Ever since Disney bought Lucasfilm, they’ve been making a concerted effort to spin out as many characters and stories as possible from the Skywalker Saga. Across TV, books, comics, and games, new adventures in the galaxy far, far away have fleshed out the Star Wars canon and helped to fill the void left by the Expanded Universe. On the film side of things, this has meant three proposed anthology/spin-off films that are meant to debut in the years without an Episode. Last year, Rogue One: A Star Wars Story kicked things off with a bang, emboldening Lucasfilm in their efforts. Next year, Han Solo will once again use the prequel format to explore areas from the past of the franchise. And while we were told earlier this year that future films wouldn’t rely on Legacy elements, that’s quickly proven to be untrue. After months of speculation, it’s now being reported that an Obi-Wan spin-off/prequel is in the works – and it appears he may not be alone. As part of the story on the Obi-Wan film, THR is reporting that Lucasfilm is pursuing Yoda and Boba Fett spin-offs. Like Han Solo and the Obi-Wan movie, these would be prequels of course, but no other information on the potential films is known at this time. Star Wars fans will likely recall that neither of these proposed films is coming out of the blue. A Boba Fett film was long planned to be one of the new anthology films, with Josh Trank even completing a Boba Fett test sizzle reel. After the disaster that was Fantastic Four (2015), however, Lucasfilm and Trank parted ways and the film was apparently shelved. 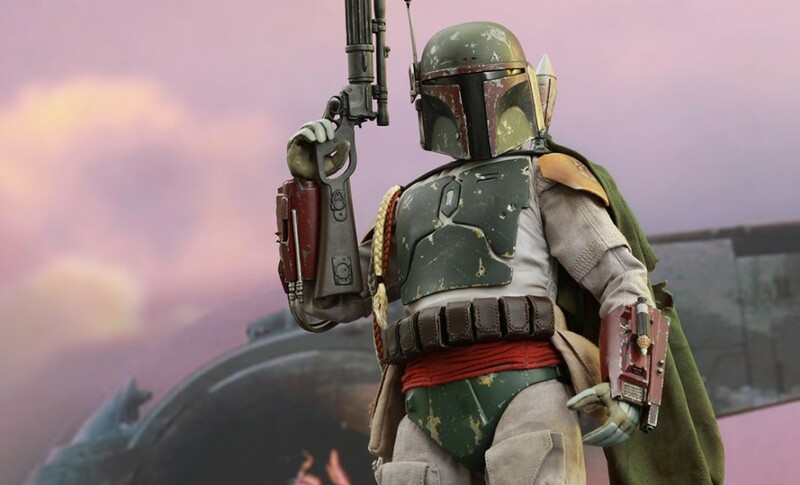 Given the popularity of the Mandalorian bounty hunter, it’s no surprise that Lucasfilm are still pursing a Boba Fett film, even if it does prevent new stories from being explored. Meanwhile, a Yoda film has been rumored since back in 2013, though there’s been much less progress than with the Boba Fett movie. 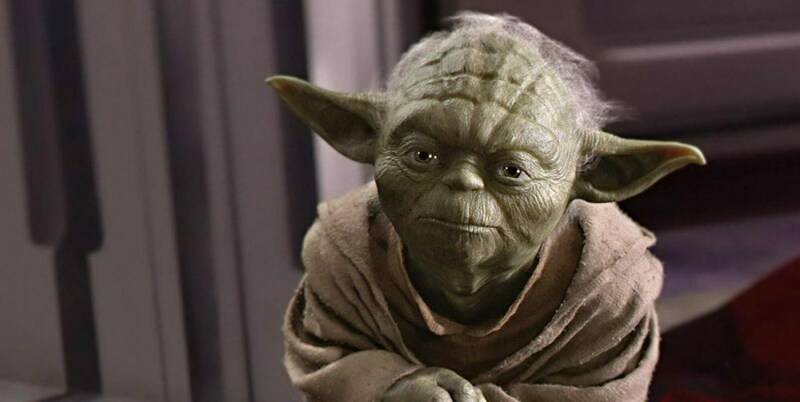 Still, Yoda is a popular character who lived for nearly 900 years. The adventures he’s been on and the lives he’s touched could allow Lucasfilm to root a story with a familiar character while exploring a time and place we’ve never seen. Frank Oz is also still alive and working, so being able to bring back the character’s key voice actor makes the film an even more exciting prospect. In the meantime, next summer’s Han Solo and this year’s Star Wars: Episode VIII – The Last Jedi will continue to explore new avenues within the Star Wars universe. And if those films are as successful as previous installments in the franchise have been, then the Boba Fett and Yoda movies could become a reality. Lucasfilm is in the early stages of developing an Obi-Wan Kenobi standalone movie, with Oscar-nominated director Stephan Daldry (Billy Elliot) in talks to call the shots. As many fans know by now, Lucasfilm is expanding their immensely popular Star Wars film franchise with a series of spin-off films that compliment the main episodes of the Skywalker family saga. Last year, Rogue One proved their was an audience for Star Wars anthologies, and Ron Howard’s young Han Solo movie remains on track for a May 2018 release. It’s long been presumed a third standalone would be part of the slate, with Obi-Wan Kenobi’s return heavily speculated. Fans were tipped off earlier this year, when an alleged outline of Disney’s post-Episode IX plans made waves online. Among the many topics discussed was Obi-Wan, which viewers have been clamoring for ever since the Mouse House acquired Lucasfilm. McGregor is widely seen as one of the best aspects of the often-maligned prequel trilogy, and many wanted to see the actor get another shot at Star Wars glory. McGregor has frequently stated he would happily return if asked, so there’s much excitement surrounding this project already. According to THR, Daldry is in “early talks” to direct Obi-Wan. There currently is not a script in place, and in typical Lucasfilm fashion, plot details are firmly under wraps. No release date is targeted yet. 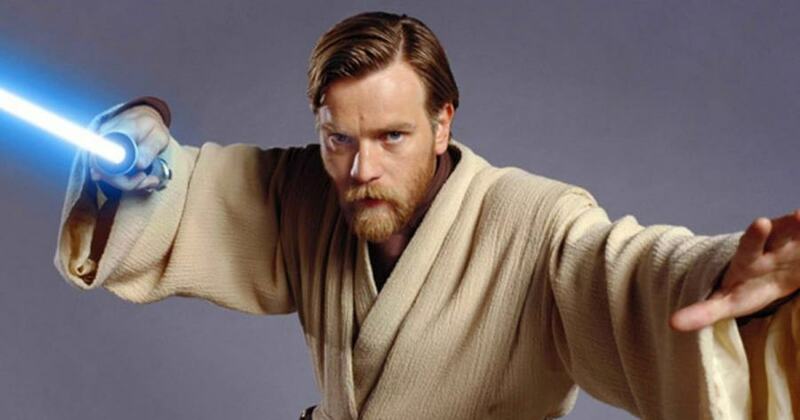 Interestingly enough, it is not known right now if McGregor will reprise Obi-Wan, but at this point it would be a surprise if he didn’t come back. The actor’s take on the Jedi Knight is well-received, and there has been a groundswell of support for McGregor for years. With the film in the initial stages of development, one would think he’d join the project shortly. Daldry, a veteran of dramas such as The Hours and The Reader is an interesting choice for director, but from a certain point of view, a case can be made for him. Considering Obi-Wan takes place in the years between Revenge of the Sith and A New Hope, there’s a chance it’s a smaller, more character-driven work than previous Star Wars films. Additionally, Lucasfilm is still dealing with the aftermath of the Phil Lord and Chris Miller fiasco on Han Solo, so working with a veteran helmsman who has a steady hand behind the camera is certainly appealing. It will be interesting to see how this all comes together – especially considering the production woes the first two Star Wars spin-offs saw. With Obi-Wan in the works, many fans will be wondering when they can expect to see it in theaters. Lucasfilm has a full plate on their hands right now, with three more Star Wars movies and Indiana Jones 5 all officially scheduled from now through 2020. Unlike Disney brethren Marvel, they seem to be in the business of doing one movie per year, so it’s possible viewers won’t be reacquainted with Kenobi until 2021 at the earliest.